Rayotek excels at large optics grinding, large ceramic grinding and large surface grinding of glass, fused silica, fused quartz and large ceramics. Our massive 5-Axis Grinder and large molding furnaces enable us to precision grind large ceramic and glass type materials to complex shapes. Our 5-Axis Grinder has been optimized to achieve very tight tolerances and repeatability across its entire 20 meter2 working footprint. 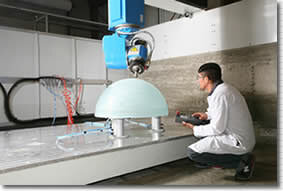 Rayotek can precision grind large ceramic, glass, fused silica and glass ceramics to any shape with the 5-Axis Grinding System including OD grinding ceramic and glass up to 4 meters in diameter. 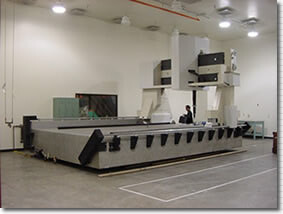 Rayotek can also perform large optics grinding and large surface grinding on this system. In addition, Rayotek has the capability to anneal large workpieces. 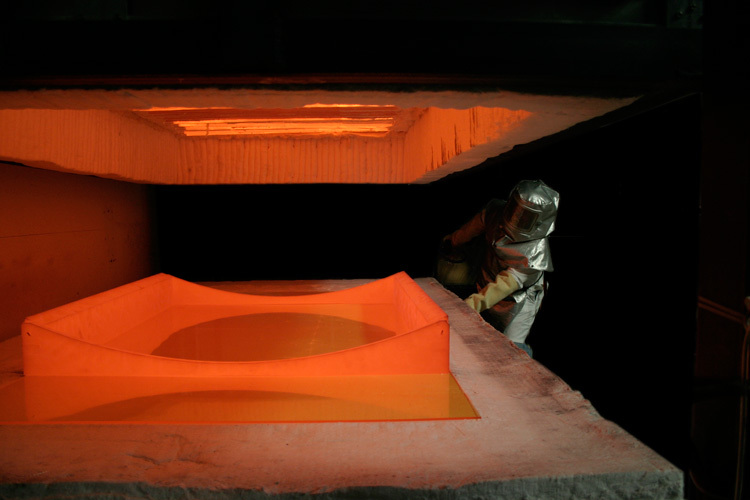 Annealing is often required before and/or after grinding to insure higher accuracy and stability of the final product; especially after large surface grinding and large optics grinding. 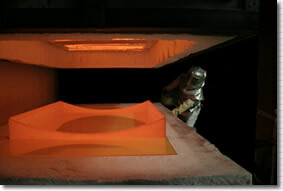 Rayotek can fuse similar and dissimilar materials to form solid, stable large blanks that can be molded and/or ground to precision shapes. 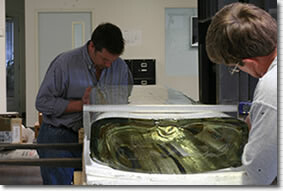 Rayotek bonding technologies are often stronger and more stable than the materials being bonded. 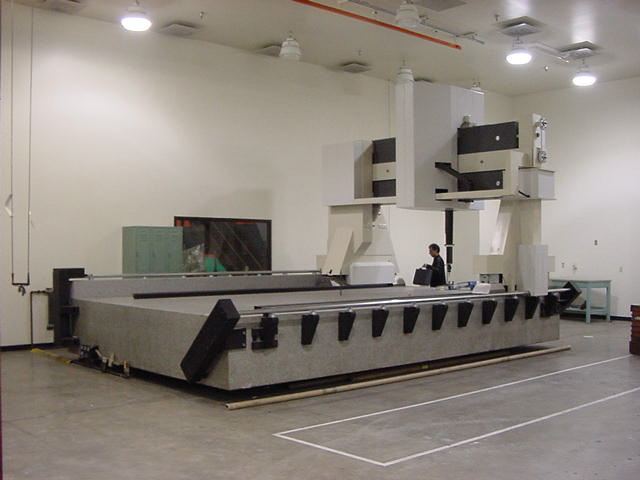 Rayotek has a massive CMM to support its large workpiece grinding and molding capabilities. 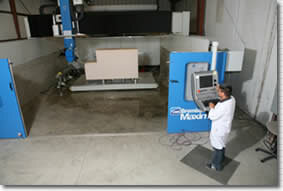 Our large CMM can measure workpieces up to 4.5meters x 1.7meters x 0.7meters in a temperature controlled environment. 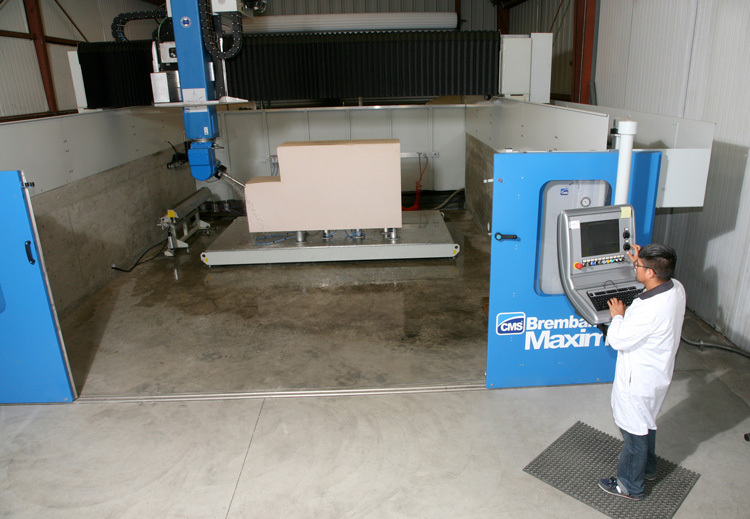 All of our large grinding and large molding can be inspected and certified on our massive CMM including our large optics grinding and our large surface grinding. 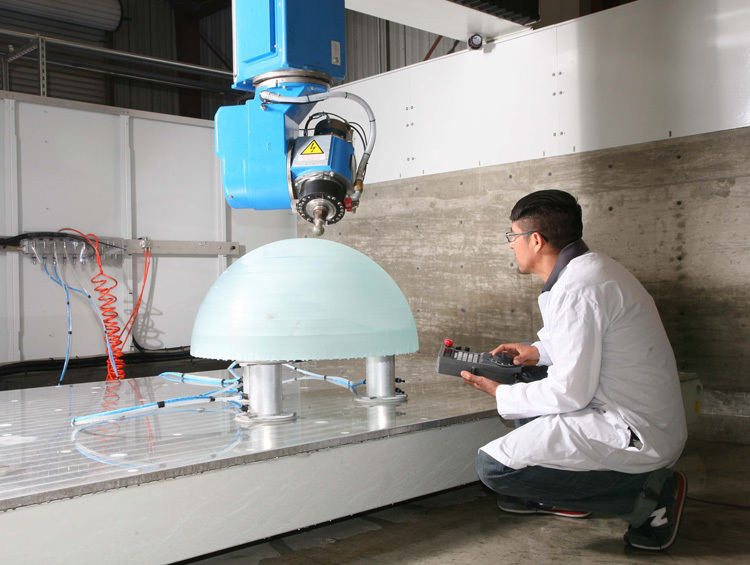 Molding, shaping and grinding of large size workpieces is a unique skillset achieved only through years of experience and an ongoing commitment to continuous R&D and improvement. 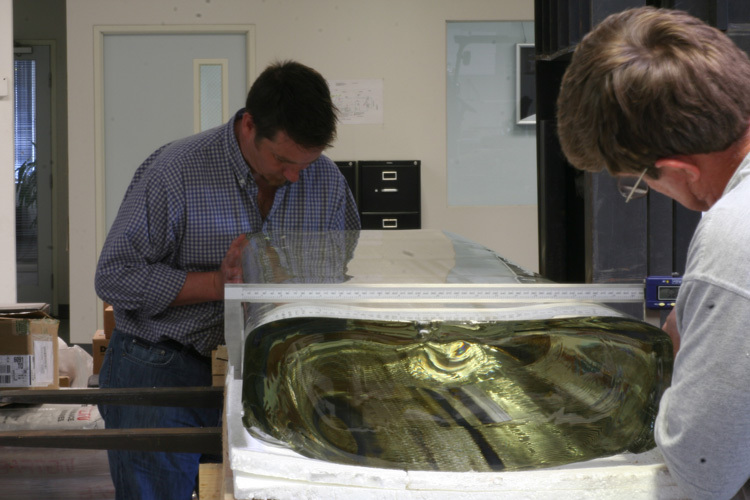 With a team of engineers and scientists committed to excellence, Rayotek has the capabilities to work with customers for optimized design and processing strategies. DelCAM is the premier CADCAM software for machining and grinding complex curved shapes. DelCAM is specifically designed for shaping curved surfaces where tool path patterning and mesh faceting is undesirable. Using DelCam software we can generate G-code to achieve near perfect surfaces.